Note that I haven't painted any hair, flesh, skincloth yet, still trying to find colours that may fit into the main violet scheme. Tell me if you think about anything to be modified to a better rendering. Please be indulgent, I still haven't a great brushstroke, I wish to master it better in the near future. I could also dilute a bit more my paints to avoid mass layering aspects. The tenth warrior had prime coat problems and had to be stripped off. Sorry for the quality, iPhone pics... I lowered the quality to enhance uploading speed. Anyway I like the purple a good bit and if you want to add some metallics to compliment it I recommend a gold since there isn't much places to add it I recommend it on the gun somewhere (Although giving the Sybarite gold detailing on the mask would look cool) Gold horns would look pretty cool too imo. Anyway good luck! I look forward to see your army painted! For the hair I indeed thought about a blueish silver shade, but quite don't know what paints to actually use. I like the idea of my DE not looking entirely 'evil' and perverted, and keeping a bridge with their roots, so avoiding flashhy hair colours and keeping a kind of natural Eldar hair colour. As for the skin a grey dead-like flesh would work well, but still have no idea what taints to use. About the cloths, I agree it could look like tattered cloth more than skin, since there's no convention for it to be as so, still dealing with that matter. Thank you for your comment and ideas, I will post some more pics here to let you see how it goes! 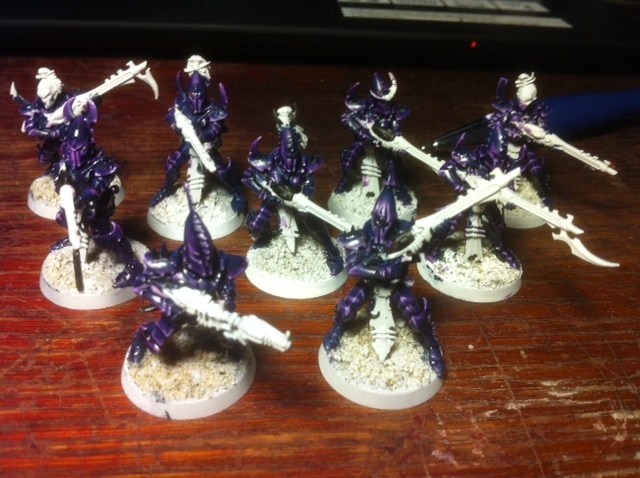 EDIT: BTW, if you're interested in knowing what paints I used for the armour, I did as following: Kantor blue+bit of black, Kantor blue, Druchii violet wash (poorly diluted), Kantor+Xereus purple, Xereus purple, Genestealer purple, Genestealer purple+bit of white and then a much diluted Druchii wash. I have little experince with painting so I cannot help you with the actual paints (unfortunately) but I can help with color coordination a bit. The reason I brought up gold is because I've seen artwork where it works really well with purple. 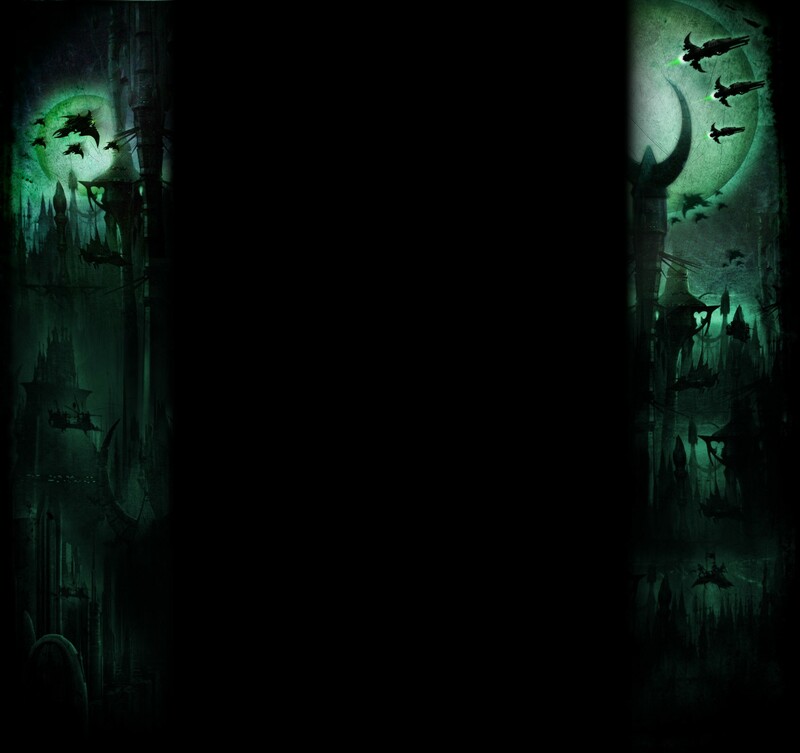 This is the 2nd time I bring this character up on the Dark city but the color combination is fantastic. 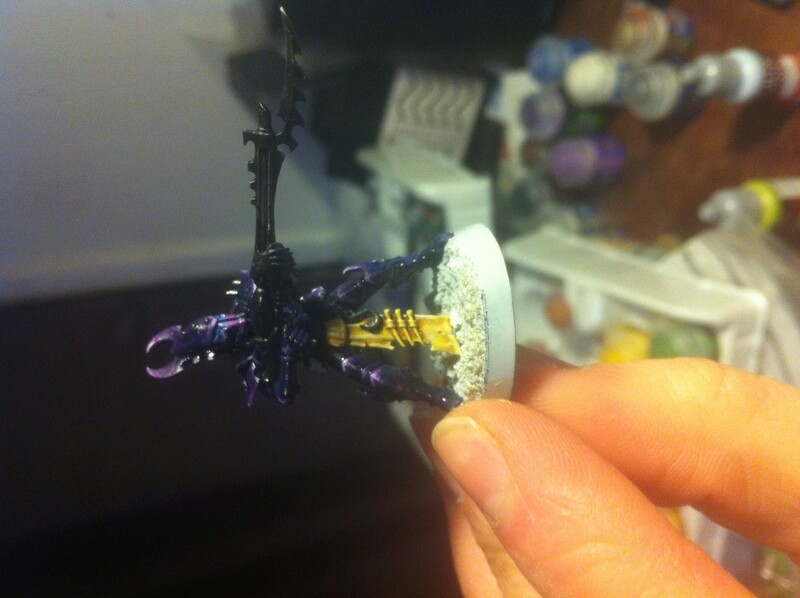 The Purple is the primary color, with gold being a trim at certain points and either black or red cloth I'd think would work really well for your scheme. I vote gold. Purple and yellow are natural compliments, so by extension gold and blonde. The cloth is hard. Do you want to keep them dark or try and make it pop? I keep my cloth as my secondary colour (royal purple). And make my smaller details(inside splinter rifle, drug dispenser) a sky blue so it pops. So maybe black, cream, or gray? Dark red if you want a vampire feel. Or maybe off-white or cream? I mean, who would not want to be THIS smooth? In fact, I want some details to stand out, to get a well-balanced result, not too much, not too dim. I really shall try it gold for the metallics, but off-white might be cool as well. What kind of wash is the best to use for gold, sepia wash? If I may, I am not a fan of washing metallics. You take away a lot of the shine. I rather use the darker metals as basic coat and highlight all the way up. Its time consuming, but totally worth it. You might want to try Non-Metallic Metal technique (NMM). Try to look up acrylic matte medium and thinner at your locale. The models look kinda glossy at the photo, which I am not sure is intentional. Thank you very much, but the pics aren't zoomed enough to see the little mistakes (easily corrected anyway). I stopped painting miniatures for a long time and can be considered as a beginner again! For the metallics I have some gold ones (Balthasar, Auric Armour and Gehenna), will try them to know what result I want. I work in a shop where we sell a lot a painting stuff (for canvas etc. ), I could easily find a thinner. But what's a matte medium? 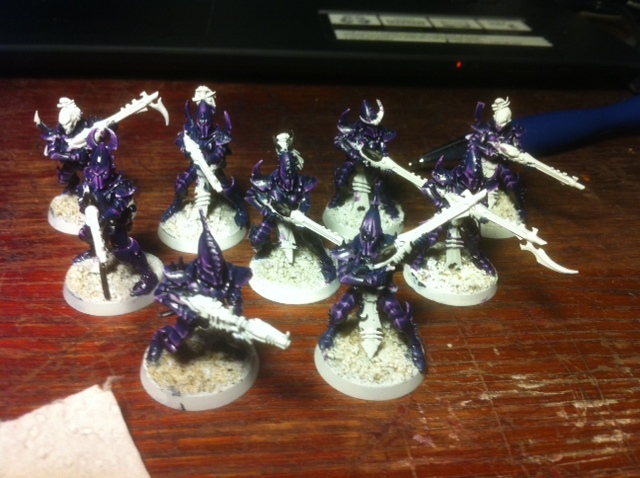 For the glossy aspect, it was semi-intentional I would say, it's due to the Druchii violet wash I used to link the different shades. If I may, I am not a fan of washing metallics. You take away a lot of the shine. But as he says, the wash darkens things considerably. Either painting the wash directly in to the recesses and\or highlighting the raised parts back up with a lighter shade or two, is going to give you the best result. Depends on how much work you are willing to put in. If you want matte medium I can recommend GWs Lahmian medium. It is basically the binding medium of the paint without any pigment in it. It is great for thinning down paints, making glossy parts matte or painting over decals to make them blend in. If you are going to try out glazes, and thin your paints a lot, it is a must. If you thin your paints too much with water, it will get chalky and awful. But if you are only thinning it a little bit to improve the flow, a drop of distilled water will usually be just fine. It flows a lot better than the GW stuff, so its easy to use, but its not a wash. GW stuff is not bad at all, mind you, but its generally made to the thickness of GW paints so its expected you will thin it with water or a thinner. Since you are working in an artists shop, you should be able to find something similar. Important thing is that it should be acrylic. 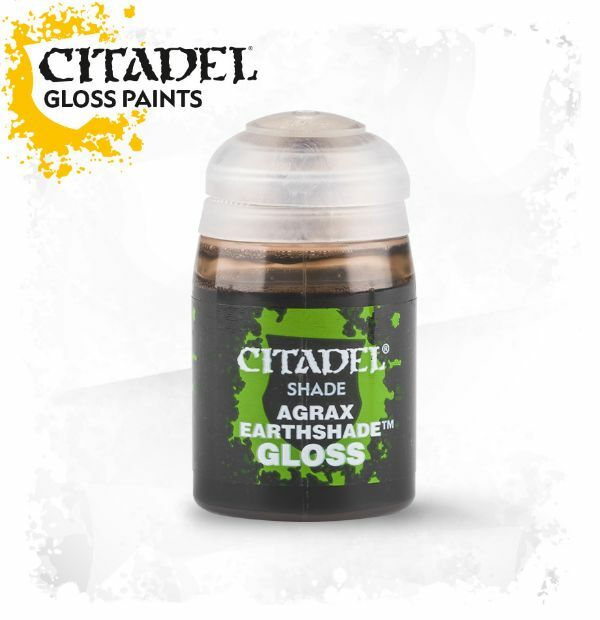 As for the Agrax - I have it too and the shade is not bad, but its gloss and it both takes away the metal shine and adds glossy reflections to parts where there should not be any reflection. But I am very much biased against anything glossy, so it might definitely work for you! I found glossy and matte medium for acrylics for quite cheap, it says on the bottle it improves the flow of the paint, but does it actually thin the pigments by extension? Or does it exist thinners excusively? 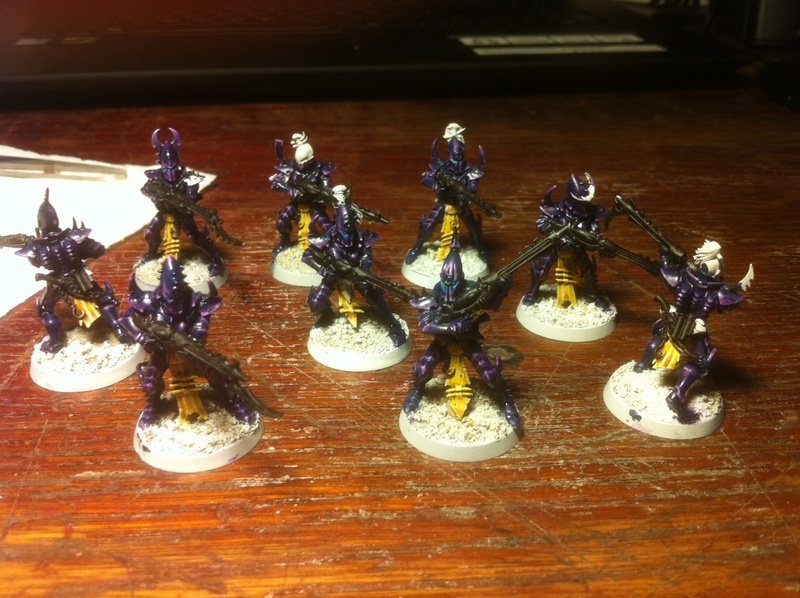 In fact I'm fine with the glossy rendering of my armours, the guy who sells the miniatures (I got 20% discount on GW ! ) at my work said the loincloth would be fine with a pale yellow, I'm thinking about it. You all converted me with the gold for my metallics, but since I'm actually a total beginner at painting metal, need some good tutorial, I will look up on youtube, there's plenty, but if you have recommendations don't hesitate! It increases the amount of the medium compared to the amount of pigment. Therefore it makes the colour more opaque. Each colour is in fact a mix of glue (sort of), filler and pigment. Filler and pigments are tiny particles. The medium is just the glue and filler, but by reducing the relative amount of particles in a colour it makes it flow a little better. The glossy ones have higher glue to filler ratio and the matte ones have more filler to equal portion of glue, thus making the final texture rougher and non-reflective. Thats why the matte paints form thicker layers. Pure thinners on the other hand - ones that can make a wash - have a chemical that reduces a surface tension of liquids, which makes it flow extremely well. Its a similar principle to some dishwasher chemicals that help drying. Therefore - you wont make a wash with the mediums, but you will make great pigment-thin glazes. Well as for tutorial - I have not find a single one I am happy with, especially when everyone imagines that their gold should look a little different. Some want a bright, yellowish shine, some want it more brown or red. Just google "gold ring" images. The amount of shades of gold is staggering. EDIT: Undercoat matters greatly. I usually go with Black. In miniatures people usually go from Brown shades through gold layers up to silver highlights. But in fact the deepest gold shade is almost black. And in addition the transitions are very sharp, which cant be done with washes. I recommend finding yourself a picture of a gold jewel you like, open it up in Gimp or Photoshop and check the colours at different levels of shading with the "colour pick" tool. Try making larger squares of each colour you find there in another file in succession from darkest to lightest and compare them to the colours you have. Do not forget that you can add a tiny bit of normal colour to a metallic one to get the shade you desire without losing much of the metallic quality. 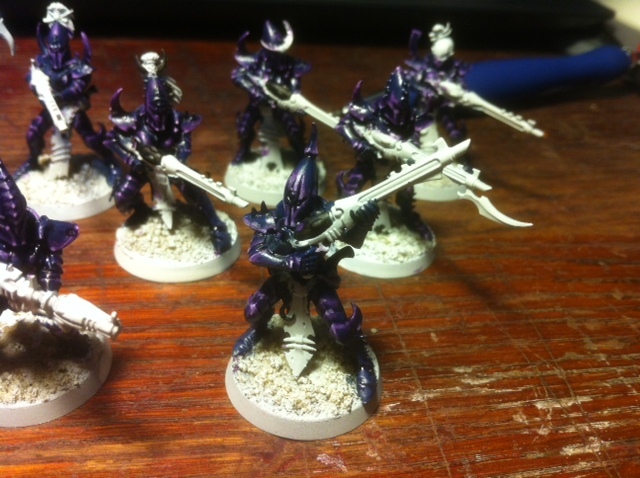 I was into something like off white or a pale yellow, and I thought the latter would fit wery well with the armour purple tones, I used the VGC Pale Yellow, adding Ushabti Bone for the prime, then a Sepia wash, then Ushabti alone for the highlights and some Screaming Skull on the edges. I must confess I'm quite satisfied with the result. What do you think? Not bad at all! Nicely rough look. Like dirt/grease stained bleached leather. Hunh, thought you purposely left the guns white, looked kinda neat. Thanks all again for such returns, sorry fisheyes to disappoint you for the rifles hehe, I decided to paint them part gold after letting them white-primed so I had to paint them black , but it´s food for thought to test white or a light grey on them. A non-metallic rendering for the splinters is kind of original. For the clothes I wanted something rough and dirty to make contrast with the kind of polished armour while keeping a leatherish dead skin result which I'm proud of to be honest, hard to get back a good brushstroke after 10 years. For the eyes I tested a VGA Electric Blue which I will lighten a bit (with white or maybe a light grey), I try to keep a simple and well-balanced scheme. Next I will test a skin colour. I like them! Nice juxtaposition of the dark purple of the armour and the sharp yellow/brown of the loincloth. Looks great! Nice! I'm using your paint scheme as inspiration for sure. I've been looking for something that starts as a dark, smoky violet/purple/crimson and is highlighted with the lighter version. Since I'm a painting newbie, can you kind of outline the process for how you painted the model? What techniques and materials you used and when? Thank you again! Chippen don't worry I'm kind of a newbie myself and never have been a great painter even in my hobby "haydays" (a long time ago). 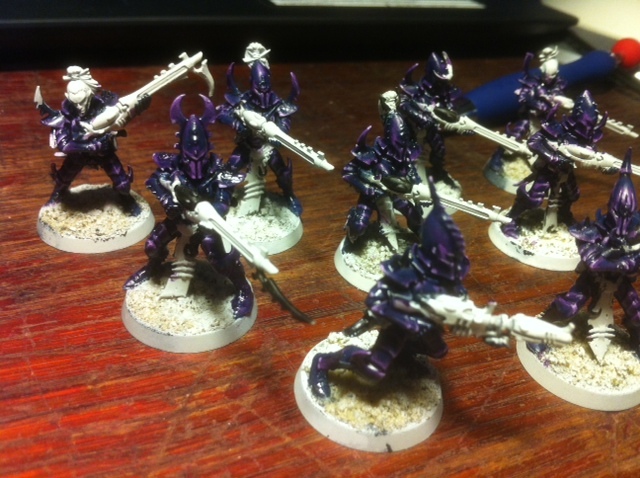 For the actual colouring process I did as following (GW taints): White prime coat (I prefer personally but it's a matter of taste) / Kantor blue+bit of black / Kantor blue / whole Druchii violet wash to fill the shadowed parts of the armour plates / Kantor+Xereus purple / Xereus purple / Genestealer purple / Genestealer purple+bit of white and then a much diluted Druchii wash (I covered the whole armour but you can just cover the purple shades only just to link them). It's quite the classic way to do I guess. You can use a matte medium which would get a less glossy result than mine. When I write blue + purple, I mean it 50/50. I like them the yellow's a nice contrast with the purple armour. Perhaps the added yellowness is your phone adjusting the colour-balance against the background (or the ambient light level). Perhaps try a different lamp to see if it changes, or a different backdrop? Oh, and what are basing plans for them? Oh the basing! I struggle with a base colour actually, for the flocking I thought about a grey stone drybrushed with a lighter tone, washed a bit with blue at some points, adding artificial snow for a winter ambient, on the paper, but I'm not quite sure about how it'd look for real. Advices are welcome! Yes, you have got to find the right place for a good lighting, sometimes it can be peculiar! I thought about the dark grey for the base itself and then a lighter drybrush (or two) for the flocking, scattering a bit of snow (hope the one I got for xmad trees at work will render well), like a recently melted snow. It´s neutral enough not to ruin the contrast with the model. Thanks for the tips!